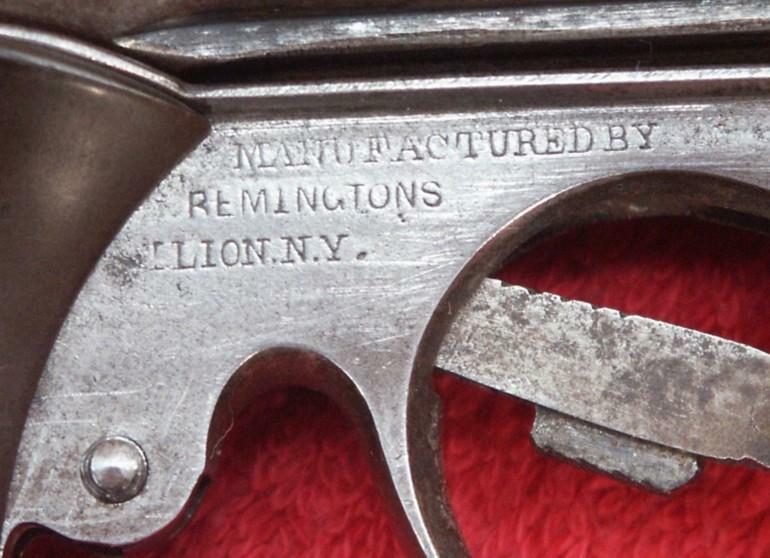 It is very rare Remington Pocket 1863, one of the very first versions with the carcass AND the brass cover-trigger. The firm very quickly replaced the brass carcass by one out of iron, and after a few years replaced the cover-trigger out of brass by one out of iron too. 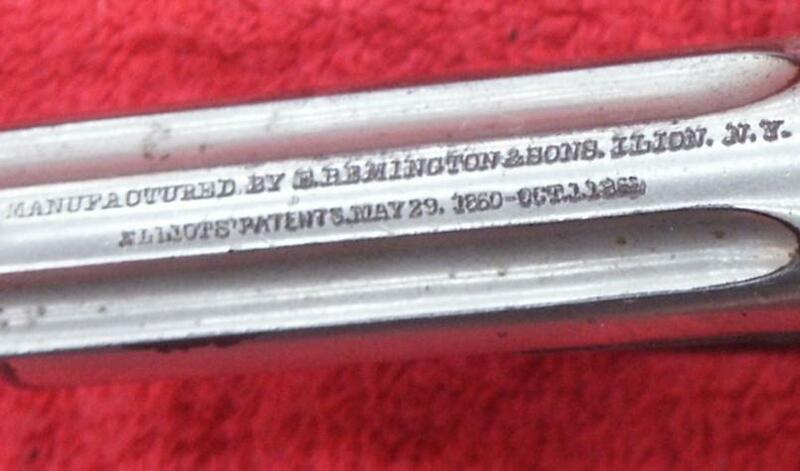 For the remainder it is Remington Pocket 1863 calibre .31 with percussion, 5 shots. 5 shots cal 22, manufactured of 1863 to 1870 with more or less 7500 specimens. It is rare in blue. One manufactured less than one thousand in 1862. 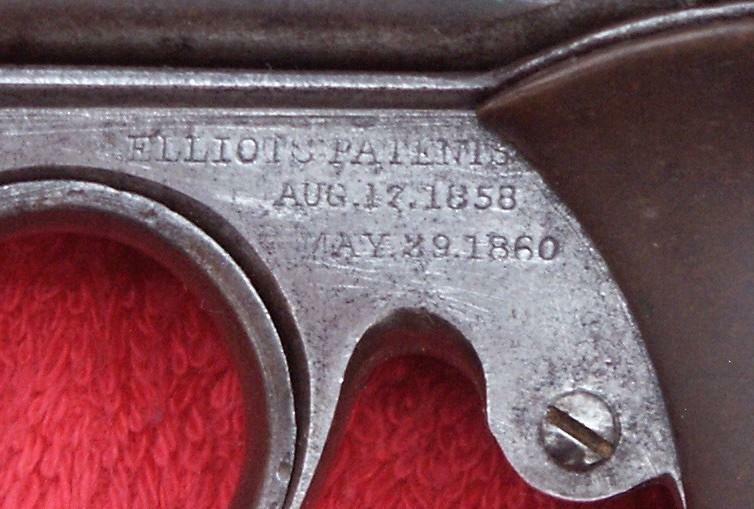 Marked Eliot' S patent/aug, 17, 1858/MAY 29,1860 and MANUFACTURED BY REMINGTON, S, ILION.N.Y. 6 shots caliber .22. Blue or silver or combination of both. First revolver of Remington for metal cartridge. Invention of Mr. H. Elliot. Rare to find on the current market. Remington New Model N° 4. Exist in caliber 38 and 41 annular. 5 shots, barrel of 2 1/2 inch. 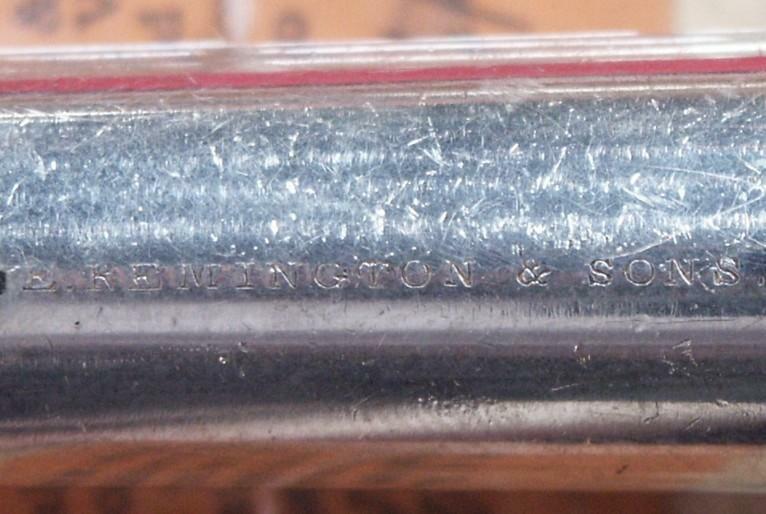 Marked E. Remington & sounds, ILION, N.Y. There is not always a serial number on the weapon. Blue or nickel.